Emperor Ashoka the Great (Devanagari: अशोक(:); IAST transliteration: Aśoka(ḥ), pronunciation: [aɕoːkə(hə)]) (304 BC–232 BC) (Imperial Title:"Devanampiya Piyadassi" ie "He who is the beloved of the Gods who, in turn is his loving servant") was the ruler of the Maurya Empire from 273 BC to 232 BC. After a number of military conquests, Ashoka reigned over most of South Asia and beyond, from present-day Afghanistan and parts of Persia in the west, to Bengal and Assam in the east, and as far south as Mysore. A later convert to Buddhism, Ashoka established monuments marking several significant sites in the life of Shakyamuni Buddha, and according to Buddhist tradition was closely involved in the preservation and transmission of Buddhism. The name "Ashoka" means "without sorrow" in Sanskrit. In his edicts he is referred to as "Devaanaampriya" or "The Beloved Of The Gods of heaven". H.G. Wells wrote of Ashoka: "In the history of the world there have been thousands of kings and emperors who called themselves 'their highnesses,' 'their majesties,' and 'their exalted majesties' and so on. They shone for a brief moment, and as quickly disappeared. But Ashoka shines and shines brightly like a bright star, even unto this day." His legend is related in the 2nd century CE Ashokavadana ("Narrative of Ashoka") and Divyavadana ("Divine narrative"). Scene of "The Gift of Dirt", 2nd century Gandhara. The child Jaya, said to be reborn later as Ashoka, offers a gift of dirt (which, in his game he imagines as food) to the Buddha, hereby acquiring merit, by which the Buddha foresees he will rule India and spread the Buddhist faith. Following this prophecy, the "Legend of Ashoka" further states that Ashoka was finally born as the son of the Maurya Emperor Bindusara by a relatively lower ranked queen named Dharma. Dharma was said to be the daughter of a poor Brahmin who introduced her into the harem of the Emperor as it was predicted that her son would be a great ruler. Although Dharma was of priestly lineage, the fact that she was not royal by birth made her a very low-status consort in the harem. Ashoka had several elder half-brothers and just one younger sibling, Vitthashoka, another son of Dharma. The princes were extremely competitive, but young Ashoka excelled in the military and academic disciplines in which the boys were tutored. There was a great deal of sibling rivalry, especially between Ashoka and his brother Susima, both as warriors and as administrators. The Mauryan Empire under Asoka It should be possible to replace this fair use image with a freely licensed one. If you can, please do so as soon as is practical. Developing into an impeccable warrior general and a shrewd statesman, Ashoka went on to command several regiments of the Mauryan army. His growing popularity across the empire made his elder brothers wary of his chances of being favoured by Bindusara to become the next emperor. The eldest of them, Prince Susima, the traditional heir to the throne, persuaded Bindusara to send Ashoka to quell an uprising in the city of Takshashila in the north-west province of Sindh, of which Prince Susima was the governor. Takshashila was a highly volatile place because of the war-like Indo-Greek population and mismanagement by Susima himself. This had led to the formation of different militias causing unrest. Ashoka complied and left for the troubled area. As news of Ashoka's visit with his army trickled in, he was welcomed by the revolting militias and the uprising ended without a fight. (The province revolted once more during the rule of Ashoka, but this time the uprising was crushed with an iron fist). Ashoka's success made his half-brothers more wary of his intentions of becoming the emperor, and more incitements from Susima led Bindusara to send Ashoka into exile. He went into Kalinga and stayed incognito there. There he met a fisherwoman named Kaurwaki, with whom he fell in love; recently found inscriptions indicate that she went on to become his second or third queen. Meanwhile, there again was a violent uprising in Ujjain. Emperor Bindusara summoned Ashoka back after an exile of two years. Ashoka went into Ujjain and in the ensuing battle was injured, but his generals quelled the uprising. Ashoka was treated in hiding so that loyalists in Susima's camp could not harm him. He was treated by Buddhist monks and nuns. This is where he first learned the teachings of the Buddha, and it is also where he met the beautiful Devi, who was his personal nurse and the daughter of a merchant from adjacent Vidisha. After recovering, he married her. Ashoka, at this time, was already married to Asandhimitra who was to be his much-loved chief queen for many years till her death. She seems to have stayed on in Pataliputra all her life. The following year passed quite peacefully for him and Devi was about to deliver his first child. In the meantime, Emperor Bindusara took ill and was on his death-bed. A clique of ministers lead by Radhagupta, who hated Susima, summoned Ashoka to take the crown, though Bindusara preferred Susima. As the Buddhist lore goes, in a fit of rage Prince Ashoka attacked Pataliputra (modern day Patna), and killed all his brothers, including Susima, and threw their bodies into a well in Pataliputra. It is not known if Bindusara was already dead at this time. At that stage of his life, many called him Chanda Ashoka meaning murderer and heartless Ashoka. The Buddhist legends paint a gory picture of his sadistic activities at this time. Most are unbelievable, and must be read as supporting background to highlight the transformation in Ashoka which Buddhism brought about later. Ascending the throne, Ashoka expanded his empire over the next eight years: it grew to encompass an area extending from the present-day boundaries of Bangladesh and the Indian state of Assam, in the east, to the territory of present-day Iran and Afghanistan, in the west, and from the Pamir Knots in the north almost to the peninsular tip of southern India. At that stage of his life, he was called Chakravarti which literally translates to "he for whom the wheel of law turns" (broadly meaning the emperor). Around this time, his Buddhist queen Devi gave birth to two children, Prince Mahindra and Princess Sanghamitra. Fragment of the 6th Pillar Edicts of Ashoka (238 BCE), in Brahmi, sandstones. British Museum. The early part of Ashoka's reign was apparently quite bloodthirsty. Ashoka was constantly on the war campaign, conquering territory after territory and significantly expanding the already large Mauryan empire and adding to his wealth. His last conquest was the state of Kalinga on the east coast of India in the present-day state of Orissa. Kalinga prided itself on its sovereignty and democracy; with its monarchical-parliamentary democracy, it was quite an exception in ancient Bharata, as there existed the concept of Rajdharma, meaning the duty of the rulers, which was intrinsically entwined with the concept of bravery and Kshatriya dharma. The pretext for the start of the Kalinga War (265 BC or 263 BC) is uncertain. One of Ashoka's brothers - and probably a supporter of Susima - might have fled to Kalinga and found official refuge there. This enraged Ashoka immensely. He was advised by his ministers to attack Kalinga for this act of treachery. Ashoka then asked Kalinga's royalty to submit before his supremacy. When they defied this diktat, Ashoka sent one of his generals to Kalinga to make them submit. The general and his forces were, however, completely routed through the skilled tactics of Kalinga's commander-in-chief. Ashoka, baffled by this defeat, attacked with the greatest invasion ever recorded in Indian history until then. Kalinga put up a stiff resistance, but they were no match for Ashoka's powerful armies, superior weapons and experienced generals and soldiers. The whole of Kalinga was plundered and destroyed: Ashoka's later edicts say that about 100,000 people were killed on the Kalinga side and 10,000 from Ashoka's army; thousands of men and women were deported. As the legend goes, one day after the war was over Ashoka ventured out to roam the eastern city and all he could see were burnt houses and scattered corpses. This sight made him sick and he cried the famous quotation, "What have I done?" Upon his return to Paliputra, he could, acccording to legends, get no sleep and was constantly haunted by his deeds in Kalinga. The brutality of the conquest led him to adopt Buddhism and he used his position to propagate the relatively new philosophy to new heights, as far as ancient Rome and Egypt. As legend goes, there was also another factor that lead Ashoka to Buddhism. A Mauryan princess who had been married to one of Ashoka's brothers (who Ashoka executed) fled her palace with a maid, fearing for her unborn child. After much travel, the pregnant princess collapsed under a tree in the forest, and the maid ran to a nearby ashram to fetch a priest or physician to help. Meanwhile, under the tree, the princess gave birth to a son. The young prince was brought up by the Brahmins of the ashram and educated by them. Later, when he was around thirteen years old, he caught the eye of Ashoka, who was surprised to see such a young boy dressed as a sage. When the boy calmly revealed who he was, it seemed that Ashoka was moved by guilt and compassion, and moved the boy and his mother into the palace. Meanwhile Queen Devi, who was a Buddhist, had brought up her children in that faith, and apparently left Ashoka after she saw the horrors of Kalinga. Ashoka was grieved by this, and was counselled by his nephew (who had been raised in the ashram and was more priest than prince) to embrace his dharma and draw away from war. Prince Mahindra and Princess Sanghamitra, the children of Queen Devi, abhorred violence and bloodshed, but knew that as royals war would be a part of their lives. They therefore asked Ashoka for permission to join the Buddhist monks, which Ashoka reluctantly granted. The two siblings established Buddhism in Ceylon (now Sri Lanka). From that point Ashoka, who had been described as "the cruel Ashoka" (Chandashoka), started to be described as "the pious Ashoka" (Dharmashoka). He propagated the Vibhajjvada school of Buddhism and preached it within his domain and worldwide from about 250 BC. Emperor Ashoka undoubtedly has to be credited with the first serious attempt to develop a Buddhist policy. Emperor Ashoka built thousands of Stupas and Viharas for Buddhist followers (the Ashokavadana says 84,000 such monuments were built). The Stupas of Sanchi are world famous and the stupa named Sanchi Stupa 1 was built by Emperor Ashoka. During the remaining portion of Ashoka's reign, he pursued an official policy of nonviolence or ahimsa. Even the unnecessary slaughter or mutilation of animals was immediately abolished. Wildlife became protected by the king's law against sport hunting and branding. Limited hunting was permitted for consumption reasons but Ashoka also promoted the concept of vegetarianism. Enormous resthouses were built through the empire to house travellers and pilgrims free of charge. Ashoka also showed mercy to those imprisoned, allowing them outside one day each year. He attempted to raise the professional ambition of the common man by building universities for study and water transit and irrigation systems for trade and agriculture. He treated his subjects as equals regardless of their religion, politics and caste. The weaker kingdoms surrounding his, which could so easily be overthrown, were instead made to be well-respected allies. In all these respects, Ashoka far exceeded even modern-day world leaders. He is acclaimed for constructing hospitals for animals and people alike, and renovating major roads throughout India. 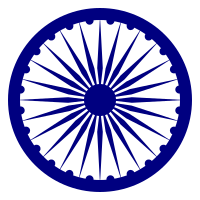 Dharmashoka defined the main principles of dharma (dhamma in Pāli) as nonviolence, tolerance of all sects and opinions, obedience to parents, respect for the Brahmins and other religious teachers and priests, liberal towards friends, humane treatment of servants, and generosity towards all. These principles suggest a general ethic of behavior to which no religious or social group could object. The Ashoka Pillar at Sarnath is the most popular of the relics left by Ashoka. Made of sandstone, this pillar records the visit of the emperor to Sarnath, in the 3rd century BC. It has a four-lion capital (four lions standing back to back) which was adopted as the emblem of the modern Indian republic. The lion symbolises both Ashoka's imperial rule and the kingship of the Buddha. In translating these monuments, historians learn the bulk of what is assumed to have been true fact of the Maurya Empire. It is difficult to determine whether certain events ever happened, but the stone etchings depict clearly of how Ashoka wanted to be thought and how he wanted to be remembered. Ashoka's own words as known from his Edicts are: "All men are my children. I am like a father to them. As every father desires the good and the happiness of his children, I wish that all men should be happy always." Edward D'Cruz interprets the Ashokan dharma as a "religion to be used as a symbol of a new imperial unity and a cementing force to weld the diverse and heterogeneous elements of the empire". Regarding the "Country of the Yona", Ashoka further specifies in his Edict No 13 (quoted hereafter), that most Hellenistic rulers of the period (Antiochus II Theos, Ptolemy II Philadelphus, Antigonus Gonatas, Magas of Cyrene and Alexander II of Epirus) received the teaching of the "Dharma". In the same Edict, Ashoka also adds the Cholas and the Pandyas as recipient of the faith. Greek Late Archaic style capital from Patna (Pataliputra), thought to correspond to the reign of Ashoka, 3rd century BCE, Patna Museum (click image for references). Some critics say that Ashoka was afraid of more wars, but among his neighbors, including the Seleucid Empire and the Greco-Bactrian kingdom established by Diodotus I, none seem to have ever come into conflict with him - though the latter eventually conquered at various times western territories in India, but only after the empire's actual collapse. He was a contemporary of both Antiochus I Soter and his successor Antiochus II Theos of the Seleucid dynasty as well as Diodotus I and his son Diodotus II of the Greco-Bactrian kingdom. If his inscriptions and edicts are well studied, one finds that he was familiar with the Hellenistic world but never in awe of it. The Edicts of Ashoka, which talk of friendly relations, give the names of both Antiochus of the Seleucid empire and Ptolemy III of Egypt. But the fame of the Mauryan empire was widespread from the time that Ashoka's grandfather Chandragupta Maurya met Seleucus Nicator, the founder of the Seleucid Dynasty, and engineered their celebrated peace. Chandragupta even supplied 500 elephants to Seleucus, which were critical to his success in his conflict with the Western dynast Antigonus, in exchange for peace (a state that would endure for as long as the Mauryan Empire existed, and was even renewed during the Eastern campaigns of Antiochus III the Great) and the latter's territories in India. "Here in the king's domain among the Greeks, the Kambojas, the Nabhakas, the Nabhapamkits, the Bhojas, the Pitinikas, the Andhras and the Palidas, everywhere people are following Beloved-of-the-Gods' instructions in Dharma." Rock Edict Nb13 (S. Dhammika). Bilingual edict (Greek and Aramaic) by king Ashoka, from Kandahar. Kabul Museum. (Click image for translation). Buddhist proselytism at the time of king Ashoka (260-218 BCE), according to his Edicts. "The conquest by Dharma has been won here, on the borders, and even six hundred yojanas (5,400-9,600 km) away, where the Greek king Antiochos rules, beyond there where the four kings named Ptolemy, Antigonos, Magas and Alexander rule, likewise in the south among the Cholas, the Pandyas, and as far as Tamraparni (Sri Lanka)." (Edicts of Ashoka, 13th Rock Edict, S. Dhammika). The Greeks in India even seem to have played an active role in the propagation of Buddhism, as some of the emissaries of Ashoka, such as Dharmaraksita, are described in Pali sources as leading Greek ("Yona") Buddhist monks, active in Buddhist proselytism (the Mahavamsa, XII ). The term used in ancient sources (Epigamia) could refer either to a dynastic alliance between the Seleucids and the Mauryas, or more generally to a recognition of marriage between Indian and Greeks. Since there are no records of an Indian princess in the abundant Classical litterature on the Seleucid, it is generally thought that the alliance went the other way around, and that a Seleucid princess may have been bethrothed to the Mauryan Dynasty. This practice in itself was quite common in the Hellenistic world to formalize alliances. There is thus a possibility that Ashoka was partly of Hellenic descent, either from his grandmother if Chandragupta married the Seleucid princess, of from his mother if Chandragupta's son, Bindusura, was the object of the marriage. This remains an hypothesis as there are no known more detailed descriptions of the exact nature of the marital alliance, although this is quite symptomatic of the generally good relationship between the Hellenistic world and Ashoka. "The legend of King Asoka, A study and translation of the Asokavadana", John Strong, Princeton Library of Asian translations. Information about the life and reign of Ashoka primarily comes from a relatively small number of Buddhist sources. In particular, the Sanskrit Ashokavadana ('Story of Ashoka'), written in the 2nd century, and the two Pāli chronicles of Sri Lanka (the Dipavamsa and Mahavamsa) provide most of the currently known information about Asoka. Additional information is contributed by the Edicts of Asoka, whose authorship was finally attributed to the Ashoka of Buddhist legend after the discovery of dynastic lists that gave the name used in the edicts (Priyadarsi – meaning 'good looking', or 'favored by the Gods') as a title or additional name of Ashoka Mauriya. The use of Buddhist sources in reconstructing the life of Ashoka has had a strong influence on perceptions of Ashoka, and the interpretations of his edicts. Building on traditional accounts, early scholars regarded Ashoka as a primarily Buddhist monarch who underwent a conversion to Buddhism and was actively engaged in sponsoring and supporting the Buddhist monastic institution.